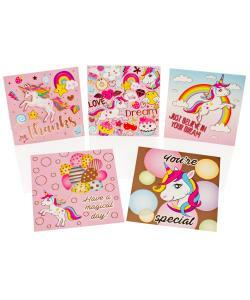 Includes 10 blank cards with beautiful Unicorn designs. 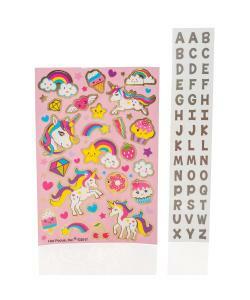 Make your cards and envelopes even more special by adding included accessories such as tags, gel pens, washi tape or stickers. Contents: 5 large cards & envelopes, 5 small cards & envelopes, 5 tags, 3 gel pens, 2 rolls of washi tape, sheet of Unicorn stickers and sheet of initial stickers. 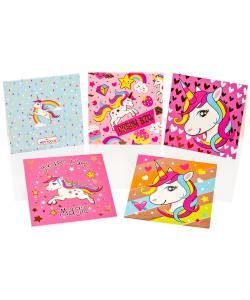 Create ten handmade Unicorn cards with this great set from Style Girlz. 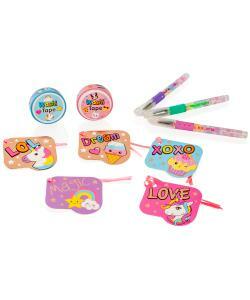 Decorate the cards and envelopes with tags, stickers, washi tape and gel pens. 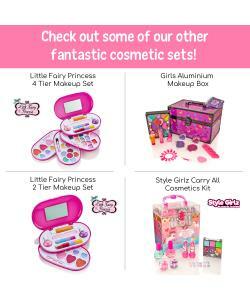 Includes envelopes for your cards when you send to friends or family.